Participants discussed the priorities for the future EU energy system, in view of post-2020 energy transition. 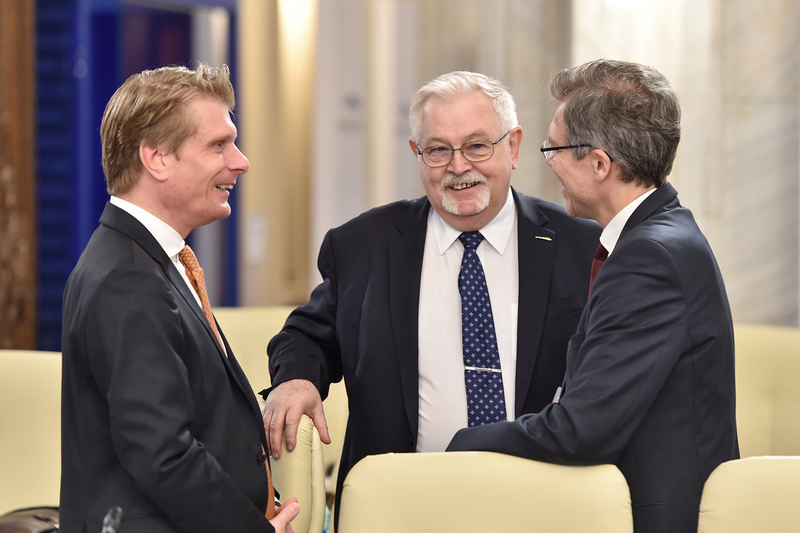 Ministers proposed a number of directions on the infrastructure priorities as well as on innovative solutions for the coming years, in order for the Council to adopt conclusions in June 2019. ”The need for investments, the development of energy infrastructure, innovative solutions and technologies are among the strategic directions of the transition process. The Clean Energy Package for all European citizens is an important step for the energy transition and decarbonisation of energy systems. The natural gas infrastructure, the power grid and storage capabilities will have to transform, so that they may become a smart tool to supply consumers and a pillar of economic and social development. Furthermore, the coupling of electricity and gas markets, together with the digitalization of the entire energy sector, could significantly contribute to reducing CO2 emissions with relatively low costs”, said the Romanian minister of Energy, Anton Anton. During the Council, the delegates signed a Declaration for a sustainable and smart gas infrastructure for all Europeans, a solid base to stimulate the potential of natural gas and use of clean energy sources such as hydrogen, bio ethanol and synthetic methane in the decarbonisation of the energy system. The document was co-signed by the majority of the Member States, as well as by representatives of the energy industry. The Council held in Bucharest also hosted the first ministerial meeting between the Member States and the Eastern Partnership states. The goal of this meeting was to establish a regional dialogue for a suitable cooperation, in order to ensure the energy supply and the diversification of energy sources.